℗ 2016 Prima Donna LLC under exclusive license to Universal Music Classics, a Division of UMG Recordings, Inc.
"... going outside the box is nothing new for Wainwright ..."
"... Wainwright has assembled one of the wildest groups of vocalists and partners ..."
"... Wainwright has always had a knack for weaving together technicolour dreamscapes and Willy Wonka-esque funhouse worlds ... (this album) puts his penchant for the theatrical front and centre ... a great addition to his musical catalogue and a fine way to fall in love with Shakespeare all over again ..."
"... (Sonnet 40) sounds like a marriage between orchestral instruments and synthesizers inside of a Rube Goldberg machine: each little mechanical tick occurring in sequence, until the whole thing becomes a busy, whirring fever dream of someone in pursuit of love. And if anyone can sell that complex, theatrical, beautiful depiction of humanity’s deepest emotions, it’s Wainwright." 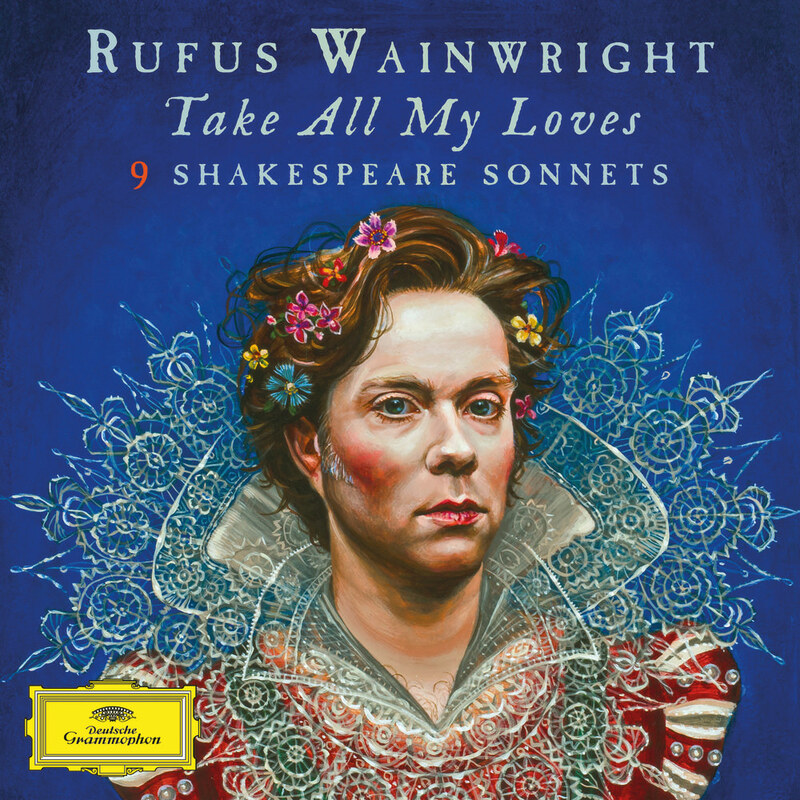 To celebrate the 400th anniversary of Shakespeare's death, Rufus Wainwright has adapted nine of the Bard's sonnets on this fascinating project, which features a diverse guest list ranging from actors William Shatner, Helena Bonham Carter and Carrie Fisher to Florence Welch (Florence + The Machine) and opera singer Anna Prohaska. "... recording this album has been a marriage made in heaven, as it combines my love of classical music with my love of pop music. It's literally historically fun ... I guess a fair number of people know the sonnets, but the plays are the centrepiece of Shakespeare's legend. But I've found in working with the sonnets they even transcend the plays, though to even fathom that is inconceivable since the plays are so amazing. But once you start to get into the sonnets it takes on this timeless, ageless, almost futuristic quality. So much of the language and so much of the sentiment is contemporary: gender and sexuality and love and hate are just so plainly exhibited that it's really searing."